Polar regions have a major influence on global climate and this is making researchers working in both the Arctic and the Antarctic to share knowledge and experience. The South and the North poles are the two coldest climatic regions on the earth, affecting the climate of the entire planet. Both polar regions are similar in their characteristics such as physical-chemical, climate, environmental, showing continuously low temperatures, limited freshwater availability, extreme seasonality and unique environmental conditions. The Antarctic is the south pole continent covered by an immense icecap and surrounded by ocean, while the Arctic is the north pole ocean covered with sea ice and pack ice. The polar regions are warming much more quickly especially at the North pole than the elsewhere in the earth. In the time of rapid climate and environmental changes, the study of both poles and the identification of drivers behind the global climatic changes become increasingly important. To bring scientists working in both the poles together, the International Polar Year was observed during 2007-2008 and it was decided to have such an event once in every ten years. POLAR 2018, held at Davos, Switzerland during 15-26 June, was a result of this. An Indian delegation of researchers working in both the poles participated in the meeting. Indian is an equatorial country but it has a presence in both the polar regions and polar studies have become major research area. 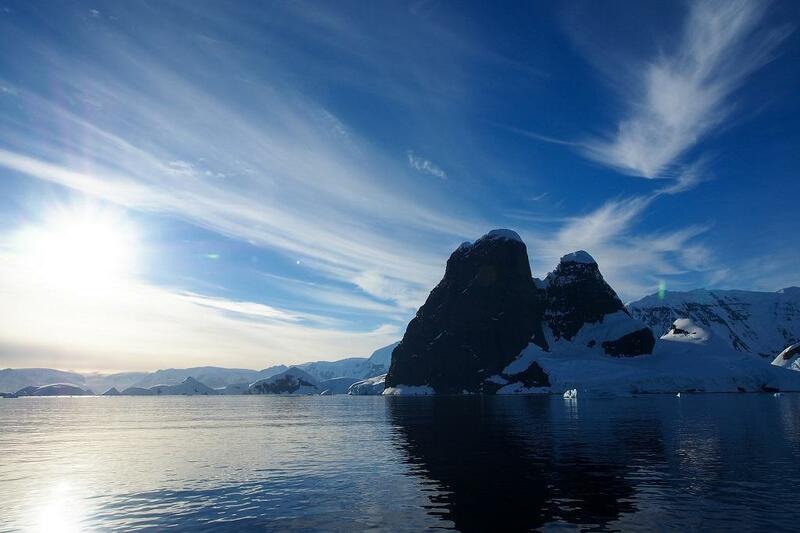 Indian connection with the Antarctica is millions of years old as both continents were the part of Gondwana Supercontinent. India has research bases in the Arctic, the Antarctic and the Himalayas. Therefore, POLAR 2018 provided unique opportunity to showcase Indian research in polar regions. The conference was a joint event of Scientific Committee on Antarctic Research (SCAR) and the International Arctic Science Committee (IASC), organized by the WSL-Institute for Snow and Avalanche Research and hosted by the Swiss Federal Institute for Forest, Snow and Landscape Research. Indian scientists from various institutes as the Goa-based National Centre for Antarctic and Ocean Research (NCAOR), Indian Institute of Geomagnetism, Delhi University, Manipal University and Goa University participated in the conference which covered the broad spectrum of research from the polar regions. Ministry of Earth Sciences Secretary Dr. M Rajeevan and NCAOR director Dr. M Ravichandran attended the meeting of the Scientific Committee on Antarctic Research (SCAR). Dr Ravichandran was elected as SCAR Vice President along with Prof Gary Wilson of New Zealand and Dr. Catherine Ritz of France. Dr. Ravichandran said the Indian national polar research programs were addressing globally significant research problems and challenges in collaboration of international organizations like SCAR and IASC. India, as a member of many international forums, plays a vital role in international global issues and observations. Indian scientists highlighted the work of an Indo-Norwegian collaborative project, MADICE, being implemented in East Antarctica. Silicate weathering in the East Antarctica by using strontium isotope and biogeochemistry of the Arctic Fjords were other important works presented during the scientific sessions. Indian scientists Dr. Rahul Mohan and Dr. P V Bhaskar chaired the sessions on ‘connecting polar research across boundaries’ and ‘biogeochemical cycling in the polar regions: terrestrial and ocean interaction’ respectively. Young Indian researcher, Gautami Samuia, received the best poster award from the Asia region on ‘unique ecosystems of cryoconites from East Antarctica’. The menace of microplastics, Arctic sea ice depletion, melting of West Antarctic ice sheets were the burning issues discussed during the open science conference, Dr. Rahul Mohan, senior scientist and member of delegation, told India Science Wire.